Cod Father notecods are suitable for thank you cards or short notes. The ten cards measure 5.5 x 4.25 inches and are packaged with envelopes in a box with ribbon. They are printed with archival pigment inks on heavy uncoated white stock. 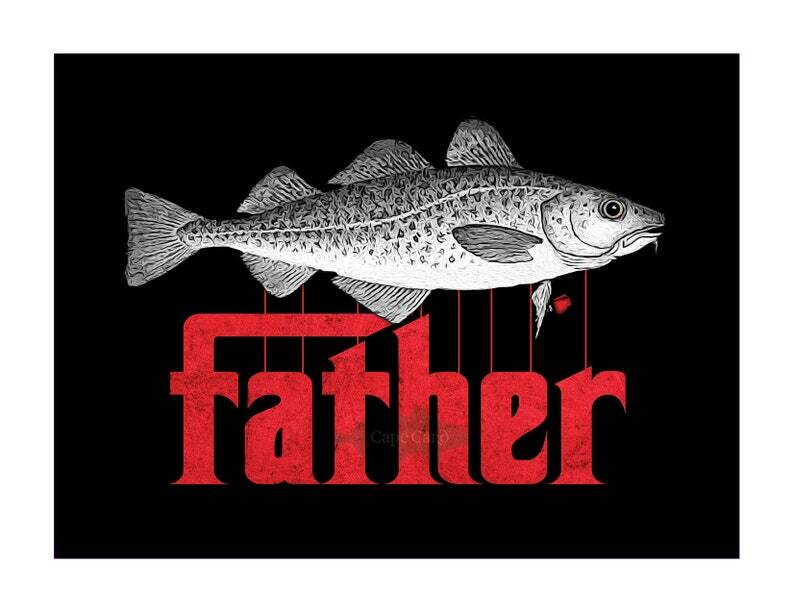 There is a 3/8 inch white margin around the Cod Father image. Design and illustration copyright © 2019 by Andrew Newman. The Cape Card® watermark will not appear on the actual cards.